I know I’ve talked about the A.B.C.W. 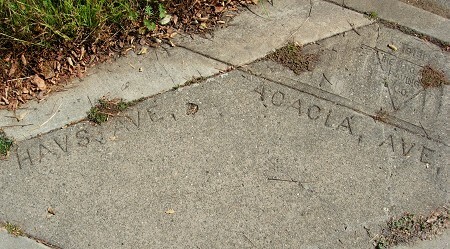 before — read that post for the living connection to today — but this week’s post is just to record a splendid example of the sidewalk stamp, in Berkeley at the corner of Shasta and Tamalpais Roads. 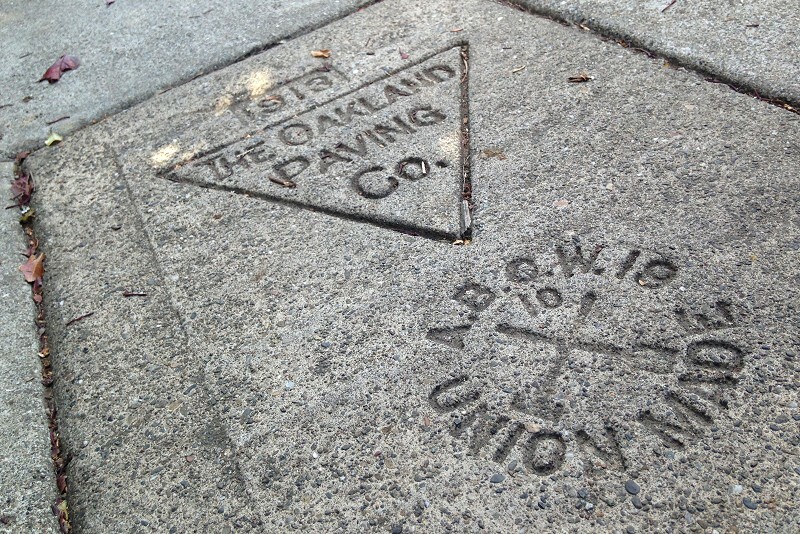 The sidewalks paved by the Oakland Paving Company’s union workers, everywhere I’ve seen them, are second to none. A hundred years old and they’re strong as ever. And the design shows such pride. 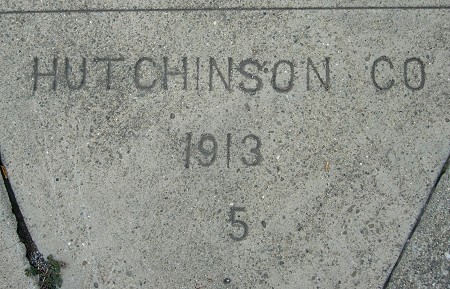 A hundred years from now the concrete being poured today might match this old stuff in strength, but the new sidewalks will never match the old ones in character. 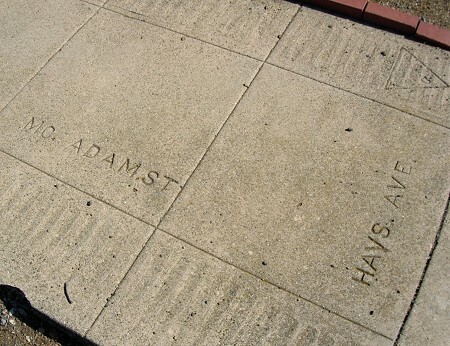 In 1913, when the Oakland Paving Company laid down this sidewalk, Golden Gate had its original name of Hays Avenue. This date is awfully obscure, but it’s definitely not 1912. 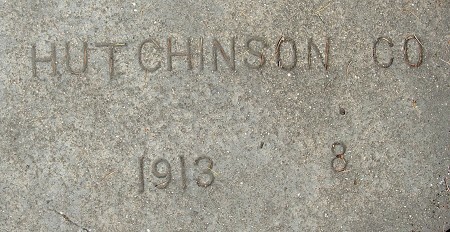 Several of the blocks around here were done by Hutchinson in May 1913. As usual, I record every centenarian mark.